This blog has always aimed to meet the outreach needs of academic, public, and special librarians. In order to better address the myriad issues we face in doing outreach, we are thrilled to welcome a new contributor. Anna Francesca Garcia is a public librarian bringing interesting experiences and perspectives to theoutreachlibrarian. Look for her regular posts the last week of every month. If you are interested in becoming a regular contributor, please contact editor Lizz Zitron at lizz.zitron@gmail.com. Salutations! I’m Anna Francesca, and I’m thrilled to be blogging here. I’m lending perspective as a public librarian in an urban setting whose main focus is youth. Everything that I write is mine and mine alone. That means that I’d love for you to comment and share your experiences. It also means that you can’t sue my employer. As the Kansas City Public Library’s Outreach Education Librarian, I’m the liaison between the Library and schools. (I will capitalize “Library” when referring to my particular system and write it as “library” when referring to the institution in general). My job is to make educators aware of what we offer and to facilitate their use of our resources. Therefore, outreach in the summer means finding where kids and teens are. There are many organizations in the urban core that focus on youth: Operation Breakthrough, Kansas City Parks and Recreation Camps, Boys and Girls Club Camps, City Union Mission, and Freedom Schools, among others. Our outreach associates bring activities and book-talks to them. (I frequently say that my business cards should also list me as their booking agent). Hearing from engaged black guys who grew up in our community brings to life the facts and stories on our shelves. Also, many of the programs make concerted efforts to stimulate academic growth for their campers. I make educator Library cards for camp counselors and teachers. I place holds that they need for their participants. This enables the kids and teens to find what they want to read while fulfilling the camps’ needs for leveling meant to keep them progressing for the demands of next school year. Education doesn’t stop when school ends. Libraries are the bridge to students taking ownership of their own learning and pursuing their own passions. Whether or not young people actually make it into our branches, it is our job to serve them. Just as students persist outside of the school buildings, library services continue outside of our walls. I consider it a privilege to bring the Library to them. Anna Francesca Garcia earned her Master of Library and Information Sciences Degree from the University of North Texas and has worked for over eight years in public libraries in Nevada and Missouri. 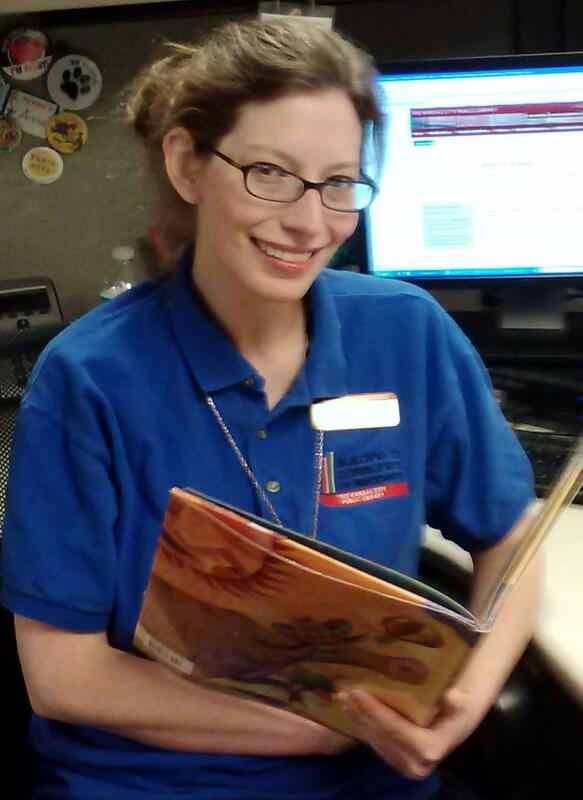 Currently, Anna is the Outreach Education Librarian for the Kansas City Public Library. She presented the Building Community Partnerships breakout session at the 2012 presentation at the Missouri Library Association Conference and served on the 2013 Missouri Building Block Award Committee. She also enjoys using her six-year-old daughter as a test-subject. Have you had any success in starting an afterschool makerspace type program as an outreach librarian? I am looking to pilot one at our public library and am just looking for some advice! I just read your e-mail, so I apologize for the lateness of this response. I do not regularly do our makerspace type outreaches because we have a Digital Youth Engagement department. They are grant-funded, and the purpose of the people who do that is to foster digital literacy among teens. They have laptops with Windows 8 on them, a 3-D printer, stop-action animation software and cameras, and an oculus rift virtual reality headset. These tools are very cool, but I am not the specialist on their use. Andrea Ellis and Marcus Brown are our experts in that area.